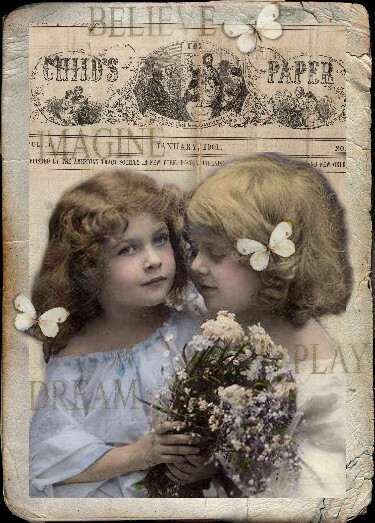 This was created on an ATC template but was enlarged on the blog page. Our theme this week is ATC (Old fashioned). Show us your ATC's. Have fun!! Here's my old-fashioned ATC valentine! espero que seja correto o tema que fiz!!! You can see my entry on my blog. Hugs to you all ! I DO love making little art, fun challenge! My ATC is on my blog. Thanks for viewing and your comment. Hugs,Gayle. Sweet inspiration piece, Here's my entry. My ATC is on my blog here. Thanks for stopping by! This is so precious! Mine is here. Thanks for the inspiration! Wonderful sample! My ATC is here. Thanks for looking. My little collection is on my blog. Thanks for looking. So nice! so pretty Marie! Mine is on my blog, thanks for looking. kisses to all of you! Very very lovely and beautiful this ATC. Love it. Thanks for the challenge...and happy Valentine's Day! So sorry my first entry was not an ATC. Here's one to make it up. Oh, this ATC is so precious! This meme idea is fun and interesting. Some intriguing entries in the comments. Absolutely a stunning card,,,, admirable pìct OMG.